Offering a last minute freebie for anybody else who is throwing together last minute Halloween party treats! I signed up to take in cupcakes to my daughter’s class Halloween party tomorrow. Being she’s in preschool we didn’t want anything spooky so we went with a candy corn theme. 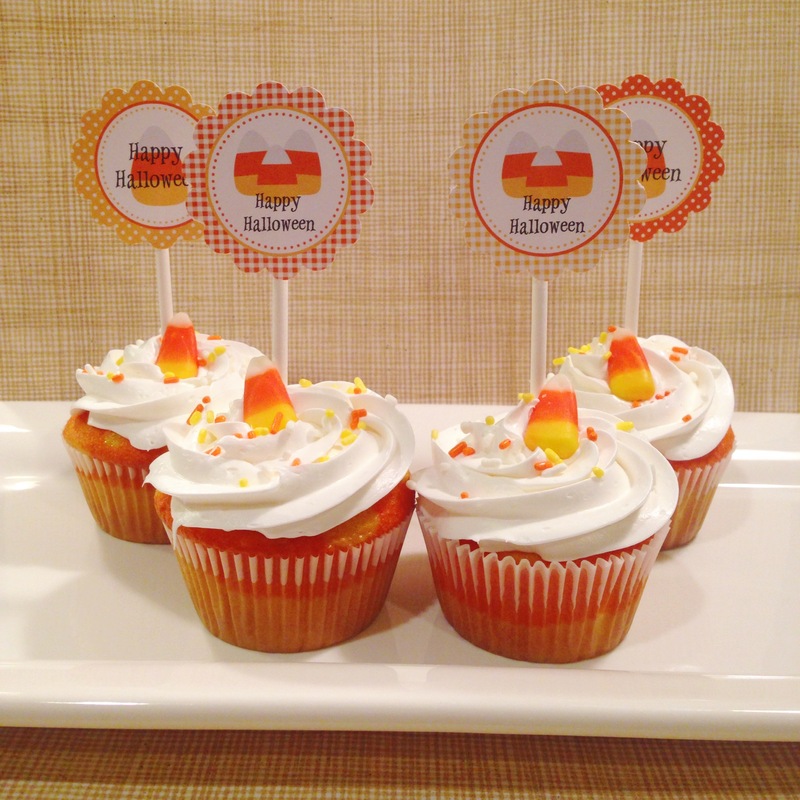 These adorable cupcake toppers were inspired by the fun orange and yellow theme! With sweet gingham and polka dots in candy corn yellow and orange they are the perfect addition to any Halloween party table! 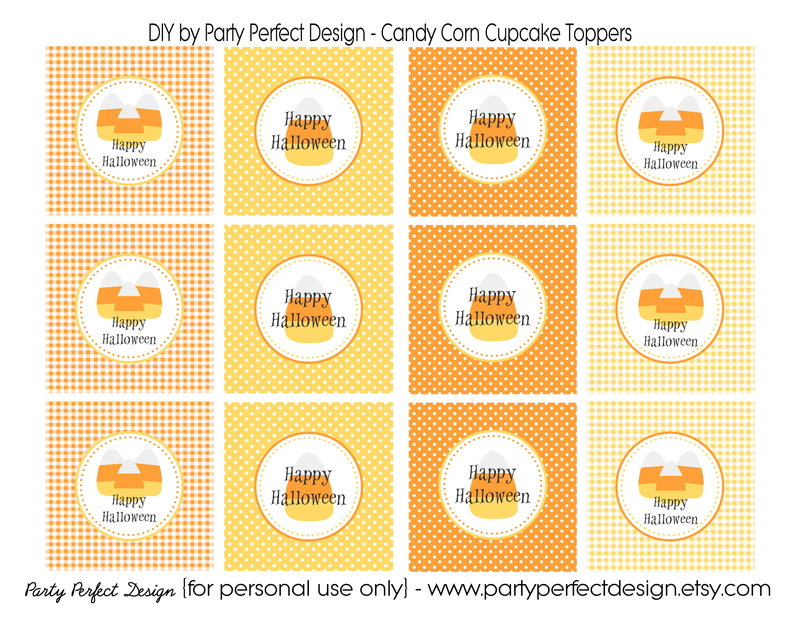 You can download your own printable sheet of candy corn cupcake toppers here!